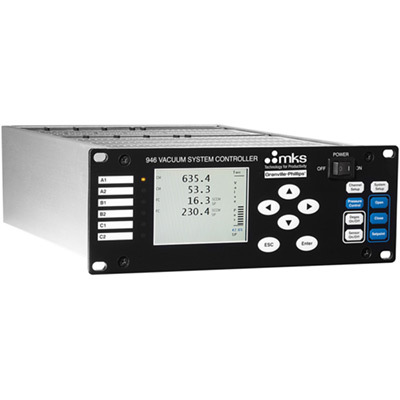 The MKS 946 Vacuum System controllers allows for the simultaneous control of up to six different vacuum gauges, mass flow controllers and certain valves that can be utilized for pressure measurement to pressure control. Accurate, reliable gas flow delivery and control is crucial to many of today’s advanced processes. KJLC offers a variety of mass flow controllers (MFC) from manufacturers like MKS Instruments and Fujikin. MFCs are available in thermal and pressure based sensor technologies, analog and digital communication, and metal or elastomer seals. Enabling our customers to bring their products and processes to market faster, more reliably, and more cost effectively. If you cannot find the mass flow controllers (MFC) you want, please email international@lesker.com or call +1 412 387 9200.